The Optimizing part of a COMP skincare routine can consist of various steps, but one of the best for most skin types (except dry and sundamaged skin) is to use an effective BHA exfoliant. “Effective” in this case means that the product is acidic (“sour”) enough for the BHA (Beta Hydroxy Acid) to work as an exfoliant, which is why a pH between 3 and 4 is preferred. You can read more about how BHA works in the following or skip directly to our list of the best BHA exfoliants in various formulations such as lotion, toner and moisturizer. All the chosen products are, however, stay-on products as cleansers etc. do not have enough time to exfoliate properly before they are washed off. If you have dry and sundamaged skin, you might want to check out our list of the best AHA exfoliants instead. BHA stands for Beta Hydroxy Acid which again is another name for salicylic acid – a derivative of aspirin. BHA has anti-inflammatory properties and is therefore often included in products for acne or oily skin. 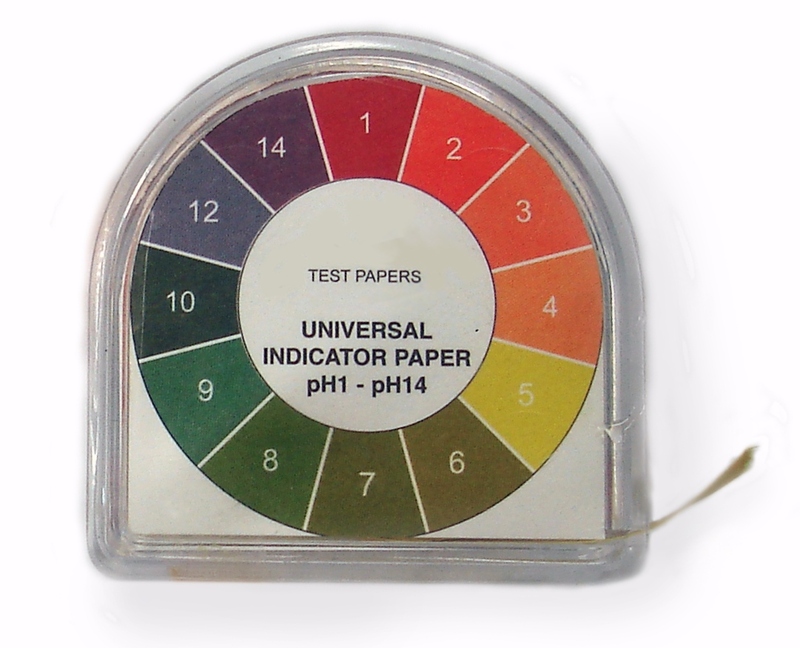 Remember pH testing tape from primary school chemistry? Red means sour/acidic, green is neutral like water and blue/violet indicates an alkaline pH. If you want a BHA product to exfoliate, a sour pH is crucial! However, if you want the salicylic acid to exfoliate the surface of your skin, it is necessary that there is at least 0.5% (and preferably between 1%-2%) salicylic acid in the product and that it has an acidic (“sour”) pH between 2.9 and 4.0. It is indeed ‘the acid’ in salicylic acid which “lifts” the dead skin cells from your skin. Therefore, if the pH gets too close to the neutral 7 (= the pH of water), the acid can no longer work efficiently and exfoliation becomes impossible. The products on this list of the best BHA exfoliants below were thus selected with the criteria of having an acidic pH as well as a satisfactory concentration of BHA/salicylic acid. For the pH ratings, we relied on the measurements done by the Beautypedia.com team, if it has not been disclosed by the manufacturer. Why use a BHA Exfoliant? If you are American, chances are that exfoliation and peels are more than familiar concepts to you. If you are from anywhere else, you might primarily have tried exfoliators in the form of scrubs with some kind of grainy material that mechanically scrub the dead skin cells away. These scrubs can be fine for the body but are often a bit too rough on the facial area as they can literally scratch your skin if the grainy material is not perfectly round – as is the case with sugar, salt and certain fruit seeds in various scrubs. It is much gentler to use a (properly formulated) AHA or BHA exfoliant as they only take away the upper layer of dead skin. Gentle exfoliation in this manner is indeed beneficial for your skin – not just because it reveals the fresh skin underneath the dull layer of dead skin but also because it can help to build collagen which makes your skin firmer. There is, however, yet another defining advantage of using a BHA exfoliant rather than AHAs as the salicylic acid is lipid-soluble (as opposed to water-soluble) and therefore can penetrate through the sebum (oil) in your pores and exfoliate them from the inside out. A lot of people are unhappy with the size and appearance of their pores, especially in the T-zone, and while no product can literally shrink pores, an effective BHA exfoliant is what come closest. Pores become enlarged and/or clogged (which can lead to blackheads and blemishes) when there is too much build-up of dead skin cells inside them. By removing this build-up with a BHA exfoliant, the pores will gradually return to their original size. Therefore, a BHA exfoliant is a great Optimizing step for all but dry skin types as it will improve pore size as well as the overall appearance of your skin. Who Shouldn’t use BHA Exfoliants? People who are allergic to aspirin and its derivatives. People with dry and sun-damaged skin will be better off using an AHA exfoliant (see a list of the best AHA exfoliants here) to improve the appearance of the skin. The skincare brand Paula’s Choice created by Paula Begoun is nothing less than a powerhouse when it comes to producing efficient BHA exfoliants. Indeed, all Paula’s Choice BHA exfoliants could be included on this list, but we choose only two of them to avoid repetition. The first is Paula’s Choice Skin Perfecting 2% BHA Liquid (pH=3.2), which is the brand’s bestseller. Although exfoliating with BHA is less aggravating than with AHAs, it can still work as an irritant on sensitive skin, which is why this formula includes green tea extract that calms redness. The liquid formula makes it suitable for all skin type, but Paula’s Choice Skin Perfecting 2% BHA is also available as a lotion and a gel. All Paula’s Choice BHA exfoliants are available in trial sizes, so you can test a product before deciding to go all in. Ingredients – Paula’s Choice Skin Perfecting 2% BHA Liquid: Water (Aqua) • Methylpropanediol (hydration) • Butylene Glycol (hydration) • Salicylic Acid (beta hydroxy acid/exfoliant) • Polysorbate 20 (stabilizer) • Camellia Oleifera Leaf Extract (green tea/skin calming/antioxidant) • Sodium Hydroxide (pH balancer) • Tetrasodium EDTA (stabilizer). Smashbox Photo Finish More Than Primer Blemish Control is a bit different than the BHA exfoliants on this list as it is a primer and thus meant to worn under foundation. Many people with oily skin have experienced how makeup will slowly “slide off” their skin as the day go by; the Smashbox primer was developed to mitigate that. No matter if you wear it with or without makeup, it functions great as a BHA exfoliant as it contains 2% salicylic acid at a pH around 4. Smashbox Photo Finish More Than Primer Blemish Control also contains beneficial ingredients like squalene, vitamin E and panthenol (also known as pro-vitamin B5). The only bad thing about the primer is a small content of Cinnamomum Zeylanicum Bark Extract which might be irritating for sensitive skin, but it should not be too big a concern for most people. The primer also comes in a smaller travel size. Ingredients – Smashbox Photo Finish More Than Primer Blemish Control: Water\Aqua\Eau • Squalane • Dimethicone • Glycerin • Silica • Cetearyl Alcohol • Polyacrylamide • Salicylic Acid • Tocopheryl Acetate • Aloe Barbadensis Leaf Extract • Cinnamomum Zeylanicum Bark Extract • Honey Extract\Mel\Extrait De Miel • Panthenol • Sarcosine • C13-14 Isoparaffin • Coco-Glucoside • Capryloyl Glycine • Sodium Hydroxide • Xanthan Gum • Laureth-7 • Allyl Methacrylates Crosspolymer • Butylene Glycol • Disodium Edta • Phenoxyethanol. 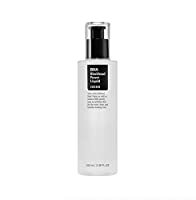 COSXR BHA Blackhead Power liquid is different from the other BHA exfoliants on this list in that it doesn’t actually contain BHA (salicylic acid) but betaine salicylate. There is not that much research done on the efficiency of betaine salicylate as an exfoliant, but formulated within a pH range from 3.8 to 4.2 it should be comparable to salicylic acid – at double the concentration. This means that a product with 4% betaine salicylate (like COSXR BHA Blackhead Power liquid, with a pH of 4.0) should function as a BHA exfoliant with 2% salicylic acid. COSXR also offers other products with betaine salicylate or even ‘proper’ BHA, but these products are not recommended as BHA exfoliants due to a too low concentration of either ingredients or a high content of alcohol. 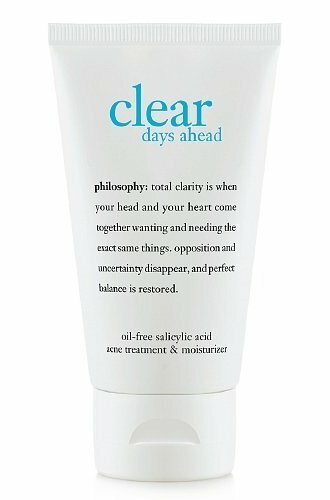 If you are looking for a good moisturizer for oily and/or acne-prone skin, Philosophy’s Clear Days Ahead Oil-Free Salicylic Acid Acne Treatment and Moisturizer is simply a great choice. Not only do you get light hydration, but also an effective BHA exfoliant as the moisturizer contains 1% of salicylic acid at a pH around 3.6. Furthermore, the Clear Days Ahead moisturizer contains oligopeptide-10 which is proven to be efficient against acne (Journal of Cosmetic Dermatology, Volume 8, Issue 1, March 2009, page 10) as well as vitamin E, squalane and lecithin. In the same product line, Philosophy sells a spot treatment with 2% BHA, but you get a lot less product for your money and it contains a worrying amount of alcohol. Therefore our vote goes to the moisturizer! 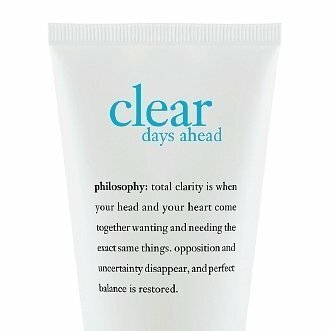 Ingredients – Philosophy Clear Days Ahead Oil-Free Salicylic Acid Acne Treatment and Moisturizer: Water • Dimethicone • Polysilicone-11 • Butylene Glycol • Acacia Decurrens/Jojoba/Sunflower Seed Wax/Polyglyceryl-3 Esters • Caprylic/Capric Triglyceride • Sodium Acrylates Copolymer • Salicylic Acid • Squalane • Lecithin • Oligopeptide-10 • Tocopheryl Acetate • Trimethylpentanediol/Adipic Acid Copolymer • Octyldodecyl Neopentanoate • Ceteareth-20 • Cetearyl Alcohol • Polysorbate 60 • Ppg-12/Smdi Copolymer • Hydroxyethyl Acrylate/Sodium Acryloyldimethyl Taurate Copolymer • Ethoxydiglycol • Sodium Hydroxide • Disodium Edta • O-Cymen-5-Ol. Paula’s Choice offers more than 10 different BHA exfoliants, of which the majority has a concentration of 2%. One of them is the Clear Extra Strength Anti-Redness Exfoliating Solution which can penetrate deeper into the pores than other 2% BHA exfoliants due to the inclusion of penetration-enhancing methylpropanediol and butylene glycol in the formula. Green tea extract is added to counteract any irritation. 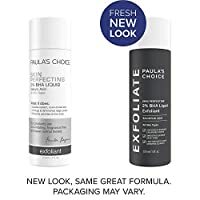 Persistent use of Paula’s Choice Clear Extra Strength Anti-Redness Exfoliating Solution will almost certainly reduce blackheads, whiteheads and acne, but if you are looking for something even stronger you might want to check out the brand’s Resist Weekly Retexturizing Foaming Treatment with 4% BHA. 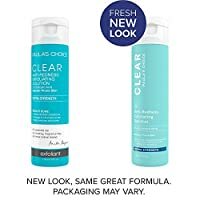 Ingredients – Paula’s Choice Clear Extra Strength Anti-Redness Exfoliating Solution: Water • Methylpropanediol • Butylene Glycol (slip agents/penetration enhancers) • Salicylic Acid • Camellia Oleifera (Green Tea) Extract (anti-irritant/antioxidant) • Polysorbate-20 (solubolizing agent) • Sodium Hydroxide (pH balancer) • Tetrasodium EDTA (chelating agent). Posted in Skincare Reviews and tagged BHA, COMP, COSXR, Exfoliant, exfoliation, moisturizer for oily skin, Paula's Choice, philosophy skin care, primer for oily skin, Smashbox. ← Dermotopia is on Facebook!